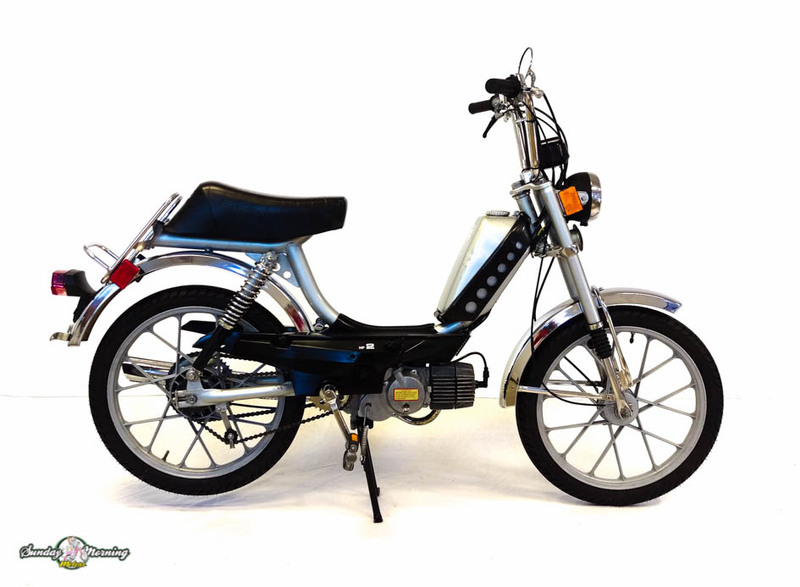 Very sharp looking Sears Free Spirit/Puch moped. As with all vintage mopeds offered by Sunday Morning Motors, it has been professionally reconditioned to be appealing, safe, reliable and most of all, ridden! Every moving part on this bike has been mechanically rebuilt or replaced, including the engine. If you want to know what it was like to ride aa brand new moped back in 1978, here is your opportunity. The name may say Free Spirit but it is all Puch! Back in the late 70’s, Sears began selling a re-branded Puch/Kromag moped that surpassed even some of Puch’s own lineup in terms of quality. 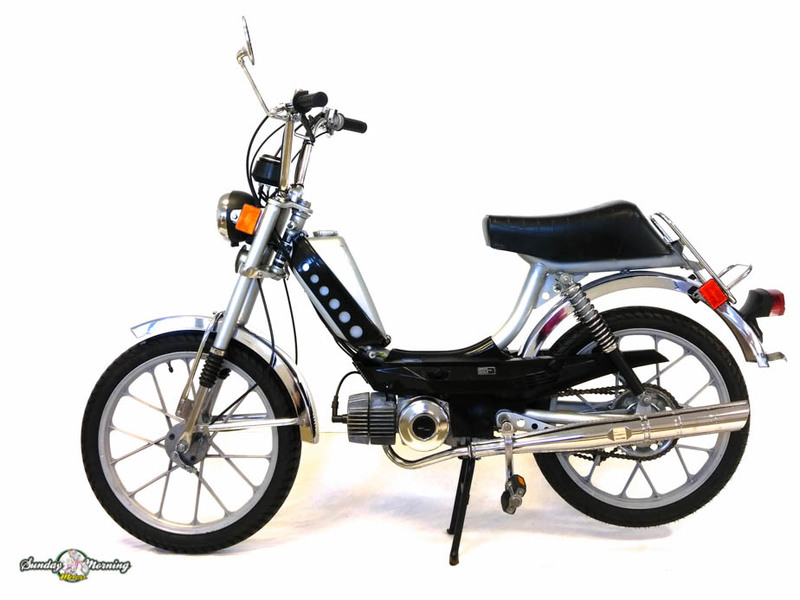 The Free Spirit moped is a well-made moped with a tube frame like a Puch Magnum but with step-thru convenience. It’s heavy duty suspension along with longer rider positioning makes this bike a good fit for taller or heavier riders. If you would like more information on the opportunity to own this moped, or to reserve it until spring, please contact us.